1 cup milk heated to 110 degrees F.
In a stand mixer add the warm milk, yeast and sugar. Let the yeast bloom 5 minutes or until frothy. Add 2 cups of flour and the butter. Keep adding flour a little at a time until the dough starts to form a ball. Place the dough in a buttered bowl and cover with a damp towel to for one hour until doubled in size. In a medium sauce pan melt the butter. When the butter is melted add the sugar and mix. Turn the heat up to medium high. Keep an eye on the mixture, whisking occasionally. When the mixture boils keep stirring until it bubbles and comes together. Remove from the heat and whisk in the vanilla. Caution–the mixture will bubble up. Add the heavy cream and mix together to make a smooth sauce. Once the dough has risen, place it on a well-floured surface. Roll the dough into a rectangle. Brush melted butter over the entire dough area. Sprinkle ¼ to ½ pound of light brown sugar cover the dough. With a spatula spread the sugar evenly over the dough. 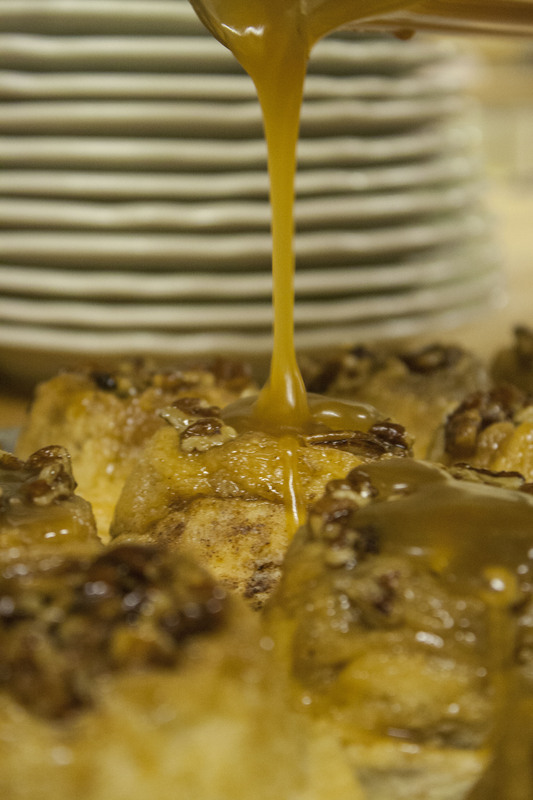 Sprinkle the entire surface of dough with cinnamon to your desire. Starting at the edge far from you roll the dough towards you to make a long roll. Using 12 cup muffin tin add 2 TBS. sauce to each tin. Add some pecan pieces to each tin. Cut the dough into 12 pieces and place in the tins. Place the muffin in on a cookie sheet and bake in a preheated 350 degree oven for 30 minutes or until golden brown. When removed from the oven invert onto a cookie sheet. 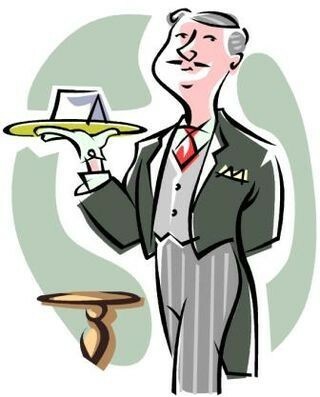 Buckhorn Inn will offer its guests an unusual opportunity—sharing afternoon tea with a very special person, Dr. David Woodfine, one of England’s most respected and experienced professional butlers. Dr. Woodfine is an amusing and engaging speaker who will talk about how to prepare tea properly, different types of teas and proper protocol when setting down for an afternoon “cuppa.” He will also share a few stories from his career as a butler, including service with Princess Diana, Prince Charles, Princess Margaret, and The Duke of Marlborough and the supervision of the wedding of Andrew Lloyd Webber. Dr. Woodfine was also High Steward of Oxford University where his job was to see to the needs of dignitaries from around the world and to oversee high table dinners for the University. He was Master of the Oxford City Guild of Chefs for four years and a Master Sommelier. Dr. Woodfine will be happy to sign copies of his well-received cookbook, From Kitchen to High Table: the British- American Edition, which will be on hand at teatime. Tea, cucumber sandwiches, and scones will be served at the event at Buckhorn Inn on Tuesday, May 5, at 3:00 in the Inn’s Sitting Room. Members of the public are welcome to attend this free event by advance reservation only by phoning 865 436 4668 or emailing [email protected]. 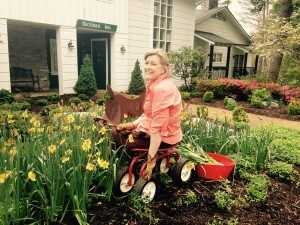 via A Beautiful Mountain Retreat – Review of Buckhorn Inn, Gatlinburg, TN – TripAdvisor. Buckhorn Inn is a wonderful place to spend a wedding anniversary. The Inn is set in a serene environment with spectacular views of the Smoky Mountains. We especially enjoyed staying in one of the Inn’s cottages, which offered a little more privacy. The Inn is a great place to relax, read a book, enjoy a glass of wine on the deck, while at the same time being convenient to hiking trails and craft shops. 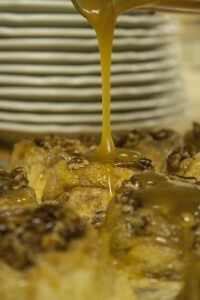 The food is outstanding in general, but the breakfasts are especially scrumptious. 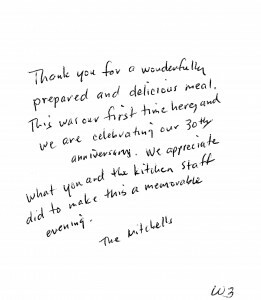 The owners and friendly staff make guests feel comfortable and welcome. We will definitely be returning! via Serenity in the Smokies – Review of Buckhorn Inn, Gatlinburg, TN – TripAdvisor. Serenity in the Smokies”Reviewed 3 days ago NEWThis was our second visit to the Buckhorn Inn and it was just as wonderful this time around. We stayed in one of the Premier Rooms during this visit; lovely, spacious, and very clean. Our room had a private balcony along with spectacular mountain views. It was so nice to walk just a few steps into the dining room each morning. Breakfasts were delicious and filling with several to choose from. I boxed up the wonderful breads they served each morning to sustain us on our day hikes. I hope we can come back again some day, it was so cozy and relaxing. 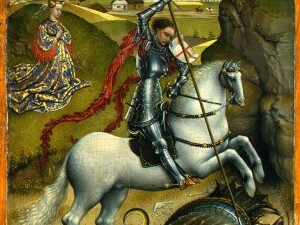 My English-born husband John has a campaign to get more recognition for St. George, the patron saint of England. To wit, this blog and the following short history of this heroic man and Christian martyr. “Follow your spirit, and upon this charge cry ‘God for Harry, England and Saint George!’” So howls King Henry V at the climax of the great Harfleur speech in Shakespeare’s play. But who really was the St George that Prince Hal uses to so inspire his men? But who was St George? Scientists have haggled over the exact details of the birth of St George for hundreds of years but it is generally put at around 280AD. He was born in the town of Lydda, then in the Roman territory of Syria Palestina and in modern terms around 15 kilometres south of Tel Aviv to two Christian parents. He went on to become one of the finest soldiers in the Roman army but, in AD 303, the Roman Emperor Diocletian issued an edict that every Christian soldier in the army should be arrested. George, it seems, wasn’t too happy about this and approached the emperor to renounce the edict. Diocletian tried as hard as he could to convert the great soldier to worship of the Roman gods by offering him gifts of land, money and slaves. However, George stood strong and stolidly turned all of these down. Diocletian realised he had no choice but to make the decision to have George horrifically tortured before being executed. The methods of torture apparently included laceration of wheel of swords before he was eventually decapitated. Not before George had donated his entire wealth to the poor though and, for the actions of his life, he was venerated as a Saint. But why is George the Patron Saint of England? The decision to make St George the patron saint of England was predominantly taken by the Plantagenet King Edward III, who reigned from 1327 to 1377. Edward was a big personal fan of the story of George apparently and thus decided to make the famous St George’s cross his military banner. Under the banner, the English army won victories at Halidon Hill, Bannockburn and Crécy. It became quickly associated with English military success and, after the flag was carried at the battle of Agincourt in 1415, Saint George’s Day was made into a national feast day. 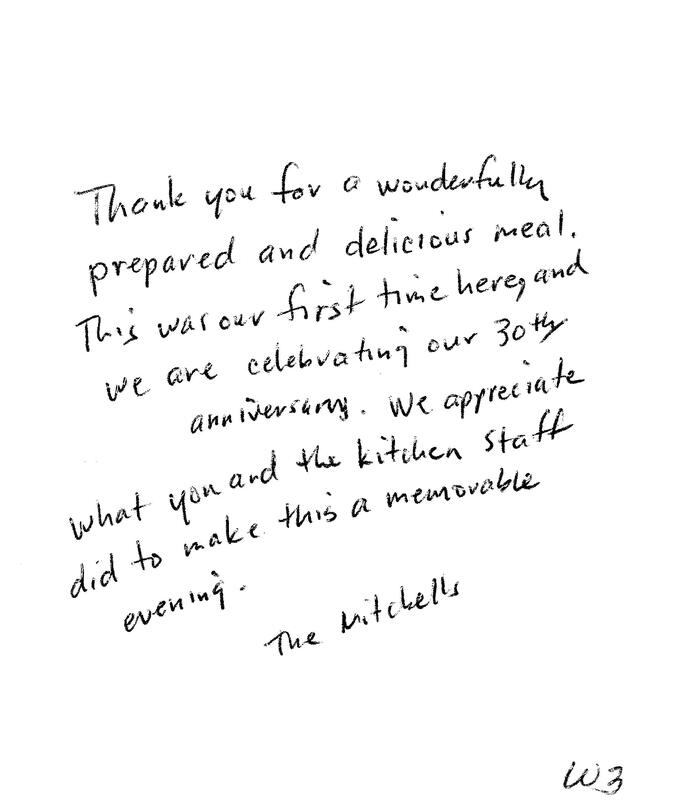 What a pleasure to receive this lovely handwritten note from a happy guest. Mr. Wordsworth’s lines give the spirit of the classic yellow daffodils that bloomed in March at Buckhorn and lasted until just yesterday. I had to unearth them, a sad task, but one that had to be done as a spent daffodil is a woesome sight. Gatlinburg is about half-way between our home in Ohio and that of one of our sons in S. C. We met there for 3 days in late March for a get together and some hiking. We have stayed at the Buckhorn several times in the past and found it excellent, and were delighted to find that it still is. The grounds and the lodge and cabins are beautiful and well maintained and updated; the breakfasts and dinners are far, far above usual hotel quality, and the customer service from every manager (including the couple who are the owners) and employee was superb. Great place! via Buckhorn Inn (Gatlinburg, TN) – B&B Reviews – TripAdvisor.